It’s the third day of the AG Fan Meet-up, and that means that we’ll be wearing a new shirt color and going to a new store. Remember to draw a star on your hand and wear star jewelry! Wear purple and go to Claire’s. So, has anyone meet a fellow fan yet? I didn’t, but that’s OK, because we’ve still got the rest of the week to meet someone! Reminder — the AG Fan Meet-up Begins Tomorrow! Why: so you can meet other American Girl fans in your area. How do we find you: There will be a specific color of shirt that you should wear each day. For example, Monday you’d wear blue, Tuesday you’d wear red, etc. Please draw a star on your hand and, if available, wear jewelry with stars on it. Keep an eye out for similarly dressed girls at your school and around town. If you see a girl dressed like you, say hello! Chances are, she’ll be an American Girl fan just like you. Another way we can find each other is if we go to the same store on the same day. For example, Monday you’d go to Michael’s, Tuesday you’d go to the Our Generation section at Target, etc. Homeschoolers, if you go to the stores after school lets out for the day, you’ll have a better chance of meeting someone. Also, many of you said that you don’t live close to the stores I picked. Just because you can’t go to the stores doesn’t mean you can’t participate! Wear the shirt colors, and if it fits your schedule, go to the stores if it’s convenient. Monday: wear blue and go to Michael’s. Tuesday: wear red and go to Target. Wednesday: wear purple and go to Claire’s . Thursday: wear white and go to the library. Friday: wear orange and go to Chick-fil-A. Please comment if you can attend. I’d love to know! How many of you remember the AG Fan Meet-up I did in 2014? Actually, it doesn’t really matter whether you do or not, because I’m doing another one! That’s right. 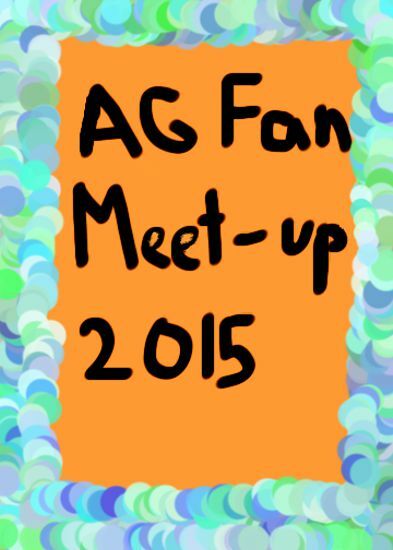 I’m going to fill you in on the awesomeness of the AG Fan Meet-up 2015! My AG Fan Meet-ups aren’t the kind where we all go to an American Girl store together. 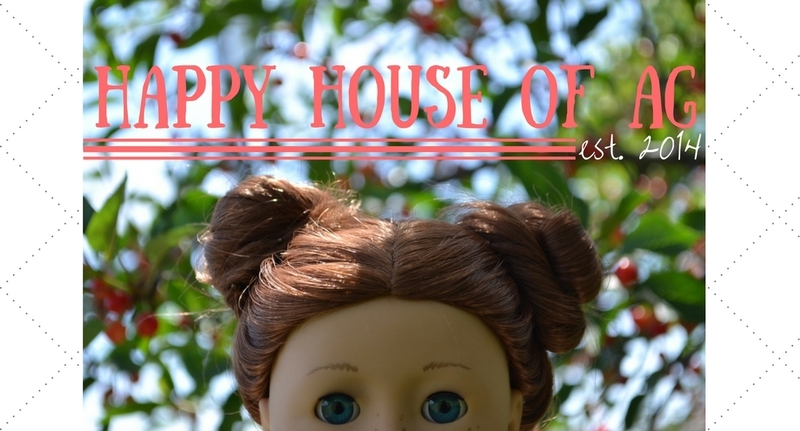 The goal is for you to meet fellow doll lovers in your area. The meet-up will last five days, but of course you don’t have to participate the whole time. How do we find you: I’m getting to that . . . 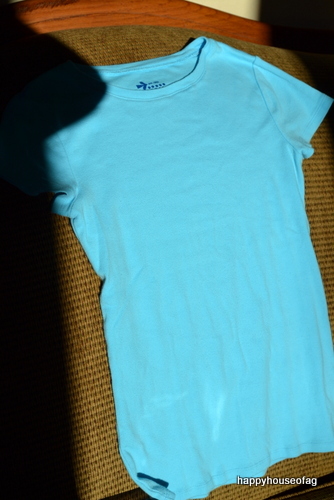 There will be a specific color of shirt that you should wear each day. For example, Monday you’d wear blue, Tuesday you’d wear red, etc. Please draw a star on your hand and, if available, wear jewelry with stars on it. My hand with a star on it. 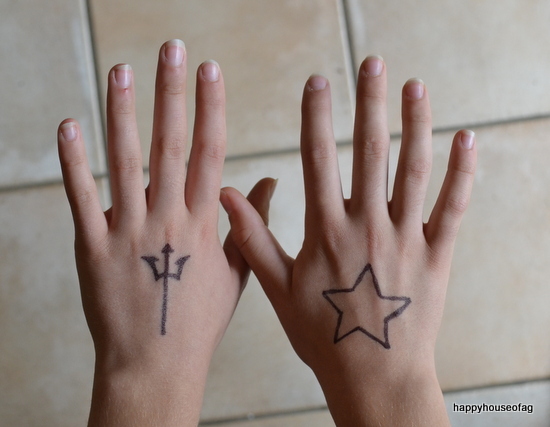 You should not put a trident on your hand — that’s only there because I was celebrating Percy Jackson’s birthday. During the second week of September (when the meet-up is taking place), make sure you get out of the house! You won’t meet anyone if you’re sitting in front of the TV all day. Keep an eye out for similarly dressed girls at your school and around town. If you see a girl dressed like you, say hello! Chances are, she’ll be an American Girl fan just like you. Another way we can find each other is if we go to the same store on the same day. For example, Monday you’d go to Michael’s, Tuesday you’d go to the Our Generation section at Target, etc. Homeschoolers, if you go to the stores after school lets out for the day, you’ll have a better chance of meeting someone. Please reblog or post about this on your own blogs! We need to spread this through the AG community! How do we find you: wear the specified shirt color, draw a star on your hand, and wear star jewelry. If you’re attending the meet-up, tell me in the comments and put the AG Fan Meet-up poster in you blog’s sidebar, and link the picture back to this post. Remember to post about it on your blogs and share on social media! Every person who has ever viewed this blog, commented, liked, or followed: thank you. I honestly can’t believe I’m at a hundred posts. It’s a big milestone, (as is 41 followers! Your guys are great!) and I never could have reached it with out all of you. So, ya. And, once again, for the third time, thank you. The AG Fan Meet-up is today!! I’m probably not gonna meet anybody, but I’m going to participate anyway. on a girl with straight brown hair just below her shoulders in a side bubble braid, and gray eyes like Molly’s, it could very well be me! The last thing is . . . look for a not-very-good giveaway coming up soon! I had this idea: why not have an AG fan meet-up? It wouldn’t be at an AG store or anything like that. It would just be something where you could meet other AG fans in your area. It’ll be on October 9th, all day. Just wear a blue shirt and your hair in a bubble braid. So, on October 9th, if you see a girl wearing a blue shirt and a bubble braid, don’t be afraid to say hi! She may very well be an AG fan. Please post about this on your blog! I would absolutely love to meet each and every one of you. If you plan on attending, please tell me! I’d love to know. Also, put the AG Fan Meet-up 2014 button on your blog’s sidebar. 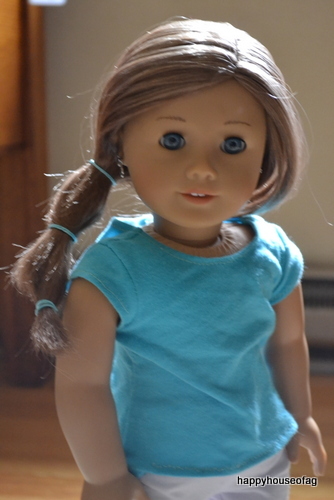 Tracy; all ready for the meet-up in her blue shirt and bubble braid! Thank you, and please post about this on your blog!